Know anybody that has a full-blown love affair going on with their phone? We bet you do! Smartphone addiction is real! On the other hand, what's wrong with that?! 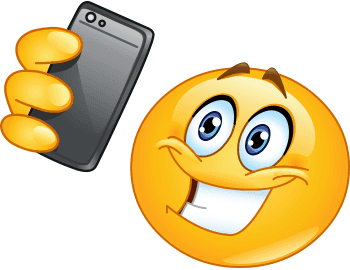 If you like taking selfies, this smiley might be perfect for you to share in your next status update. 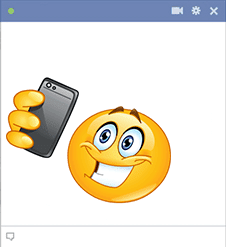 Get to know all of our cool smileys and share a few every day.